Dancehall artist Black Ryno is mourning the lost of his brother Kurtis “Tatty” Bucker. According to reports, Bucker was shot and killed by two gunmen early this morning while coming from a dance. Ryno, whose real name is Romaine Anderson, left the dance in the Maxfield Avenue area minutes after 3 a.m. this morning with his brother and a group of friends. The former Portmore Empire deejay was reportedly talking to some friends on Waltham Park Road, in Kingston while his brother stand on the side of the road waiting on him. Two gunmen reportedly walked over to Bucker and shot him several times before fleeing the scene. 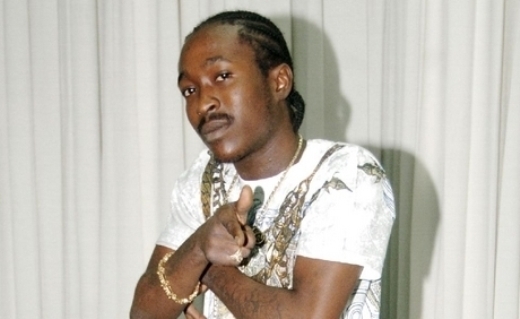 “When the shot dem fire, some people run and some just get flat – when dem come back on the scene, di deejay see him bredda a lay inna blood, so dem tek him up and on dem way to the hospital he died,” Black Ryno’s road manager Dwayne Cole said. Ryno is reportedly traumatized by the incident. MAY HE RIP EVEN WEN DE LATE GOES LYF GOES ON CORAGE BRO EVEN IF BLOOD IS BOND BTWN U 2. It’s sad yes at how we take each others life for granted, there has to be cleaning up of our lives and the music now. Another life gone! cease the killing for JAH sake. It s so easy now to interrupt a next mans’ course I wonder how it all came to this. More strentgh Dj! 2 THINGS HERE…EITHER GAZA DON HIM TO PUT FEAR IN BLAK RYNO OR THE POLICE INVOLVED TO PUT MORE CHARGES GAZA BIG MAN. Jah know more life fi go on. jah kno star, the yute dem fi stop the foolishness now man, RIP to the I bredda still smh. Its so sad how ah man can just take another man life like it is nothing. This generation coming up have no heart, no guts to take ah man down. To the family my heart goes out to you all. Black Ryno I pray that some day you can see life again it will never be the same for you but you have to live. MAY HE R I P BLACK RYNO.